No, olives do not grow on the tree with the pimento already in them. In fact, most olives are very bitter when they are fresh and usually need to be processed or cured in lye or a brine to give them the familiar flavor we know. 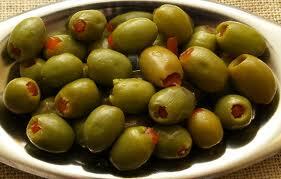 Green olives are allowed to ferment before being brined. Black olives are not, giving them a milder flavor than the green ones. Phenolic compounds in the raw fruit are what makes olives bitter. Fermentation and brining remove those compounds. Even though more attention has been sometimes been given to their delicious oil than their whole food delights, olives are one of the world’s most widely enjoyed foods. 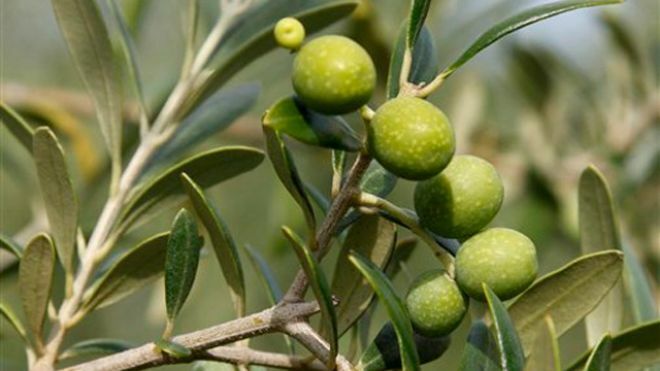 Technically classified as fruits of the Olea europea tree (an amazing tree that typically lives for hundreds of years), we commonly think about olives not as fruit but as a zesty vegetable. Olives are harvested in September but available year round to make an nice addition to salads, meat and poultry dishes and, of course pizza. The US produces less than 1/10 of 1 percent of the world’s olive oil. Georgia was a big producer of olives in the 1600’s. Spanish settlers planted trees at missions in southeast Georgia in the 1590’s. Olives were grown in Georgia well into the 1800’s until the Civil War and other problems eliminated the crop. 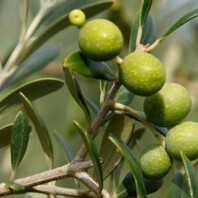 Recently there has been a resurgence of olive crops in that same area.